I was able to get my fill (well, enough to get me through one more day, at least) of Corrie's COOOs and AHHHHs and even a few cries. It was GLORIOUS. Absolutely LOVE this! 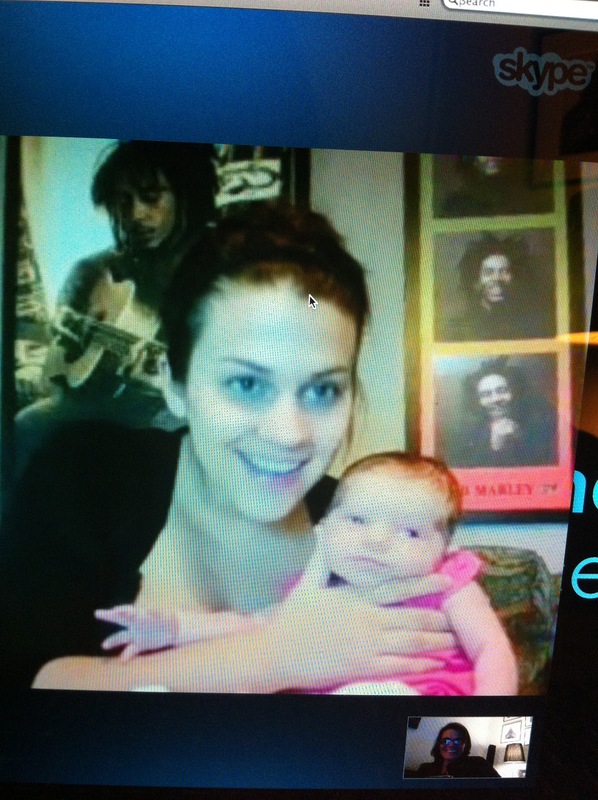 Nothing like Grandma time on Skype. We do the same thing with my parents. I am SO sad I didn't get to see you one last time before you left! But, I can't wait to meet Mads when you all come in December! Have you started looking for homes back in the US yet?! I could not live that far away from my daughter and grandaughter. i dont know how you do it. Thank God for skype. Look at your smile in the bottom corner. Priceless!! Yep.. I say it all of the time.. thank god for SKYPE... not sure what I would do without it! Awww -they look so happy together. And thank goodness for Skype!